For the test I sat in the town centre. I wanted to test there as I noticed some strange distortions in a previous recording I had made in the town centre. Previously I had been using manual recording with the limiter on. 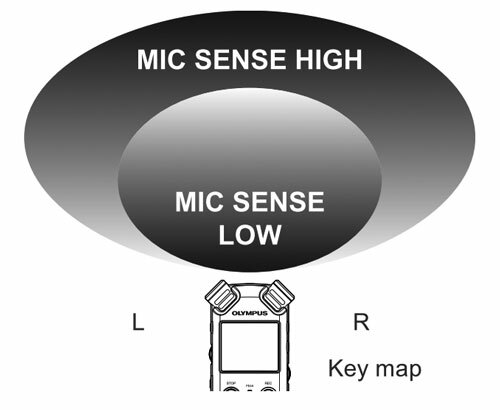 The limiter means that if a loud noise is detected the recorder automatically adjusts the recording level to avoid clipping. I thought that possibly this is what had caused the distortions in my previous recording, however in this test I can't notice any distortions with the limiter switched on. For the recordings, I hand-held the recorder. You can hear a rustling noise in some of the recordings. This is not a problem with the recorder, it was just the pages of my notepad being blown in the wind. In these test recordings I didn't notice any noise from hand-holding the recorder, however I have noticed this in some of my other recordings. I think it is probably best to attach the recorder to something solid to avoid this. The LS-5 has a standard 1/4" screw thread in the centre on the back, and you can buy hotshoe to 1/4" thread screw adapters from ebay quite cheaply. This allows you to mount the recorder to the camera hotshoe. As far as having the limiter switched on, or using auto volume level, they seemed to both work reasonably well in this test. However, my preference is to use manual recording level with the limiter turned off. Using the low cut filter does make quite a difference in reducing the low hum of the engines of static cars. 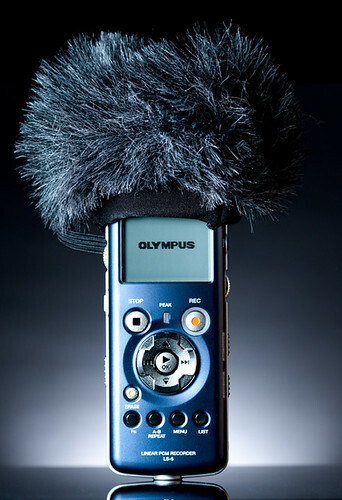 It might be useful if you were trying to record an interview with someone. However, for me, I want to record what I hear, which includes low frequency sound. I don't think it is much of a stretch to say that a wind muff is practically essential if you want to record outside. 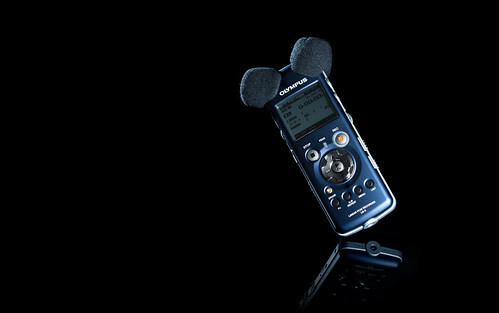 The small sponge windshields that come with the LS-5 do make some difference compared to using the recorder 'naked'. But really, it is a lot better with the wind muff added on top as well. 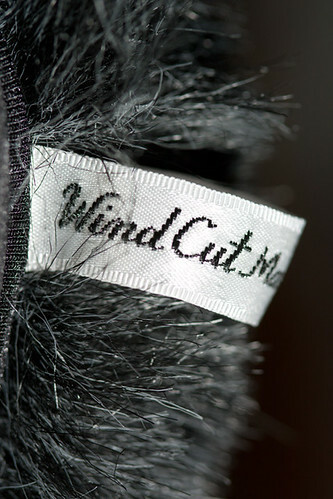 The wind muff I am using is called a Wind-Cut windshield, I bought it from the ebay seller camera_nation. 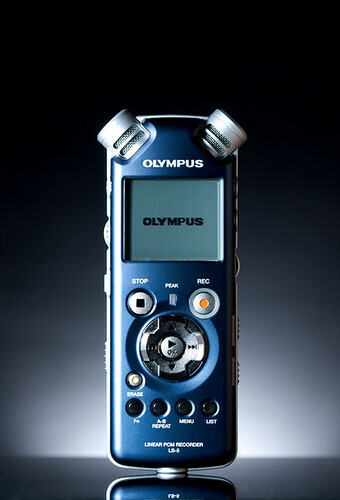 I'm quite happy with the sound quality and sensitivity of the Olympus LS-5. I haven't used it much so far, but if I have any other thoughts on it, I'll be sure to add a new blog post in the future.